Constructing a 15’ x 12’ x 10’ tube steel skid with five individual, 28 degrees Fahrenheit/210 degrees Fahrenheit tempering systems was the project. 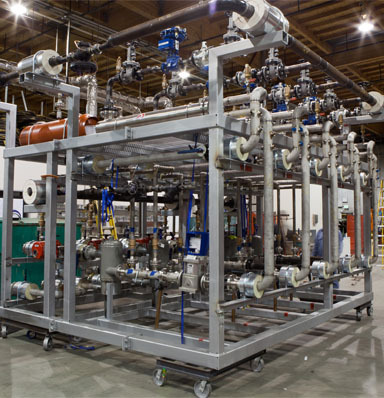 The shell and tube heat exchanges, vertical inline pumps, and associated peripherals were built in the shop and reassembled onsite. CPMCA Member: Xcel Mechanical Systems, Inc.